I teach AP English and I often wish that I had the ability to show my students examples of good (and bad) essay responses to prompts that they are using/discussing. Currently I either show them examples on my board or just read them part of the example since it is to expensive to make copies for all of my students. I understand that document cameras allow teachers to model accurate essay skills by letting them model essay writing while students are also writing essays.I would love for my students to be able to see my writing process in action in hopes that it would improve their own writing abilities. 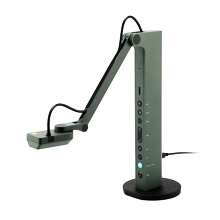 A document camera would not only benefit my students directly but also indirectly with its ability to scan documents and files for my classes. I hope you will be able to grant my wish for a document camera to aid in my students' learning.